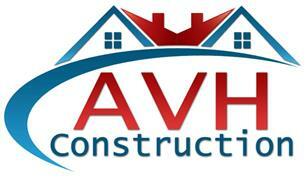 AVH Construction - Bathrooms, Bedrooms, Builder, Kitchens based in Sutton, Surrey. AVH Construction is a fully insured multi trade company founded in 2010 as a full-service, custom home improvement company, servicing not only London area but surrounding areas also. Although the company is small in offering its services it is not without a credible foundation. The owner Andrei Heriu, exercises over 9 years of experience in the construction field and was afforded higher education which shaped his sense of good taste and responsibility, a field in which the words precision and quality go hand-in-hand. It is with the same precision and quality along with desire to provide consumers with the highest quality for a minimal investment. The company will seek to provide its services in the timeliest manner and with an ongoing comprehensive quality control program to provide 100% customers satisfaction. The company’s owner sees each contract as an agreement not between a business and its customer, but between its partners that wish to create a close and mutually- beneficial long-term relationship. This will help to provide a greater long-term profit through referrals and repeat business. The mission of AVH Construction is to instruct top quality craftsmen to the specifications of each customer’s unique request. The company will strive to attract and maintain customers by providing services in the timeliest manner to provide 100% customer satisfaction. AVH Construction’s services will exceed the expectation of its customers.